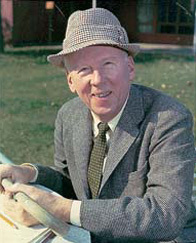 The Leroy Anderson Foundation honors the life and work of Leroy Anderson, the American composer of light concert music, who lived from 1908 to 1975. Some of his best known compositions include Sleigh Ride, Blue Tango, The Typewriter, The Syncopated Clock, Bugler’s Holiday and Fiddle-Faddle. 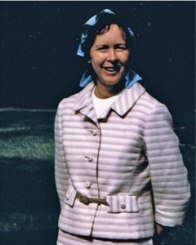 Eleanor Anderson (1918-2014), wife of composer Leroy Anderson, dedicated herself to furthering her late husband's memory. Mrs. Anderson created the Leroy Anderson Foundation in 2010. 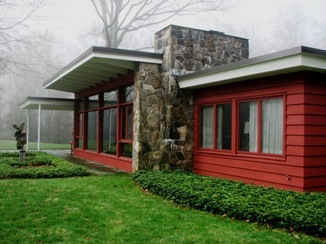 The Leroy Anderson House is a Historic house museum in Woodbury, Litchfield County, Connecticut. The National Park Service named the building to the National Register of Historic Places in 2012. In 2018 the Town of Woodbury designated the Leroy Anderson House as a historic house museum. It is the headquarters of the Leroy Anderson Foundation. The house contains an exhibit about Leroy Anderson. Group Visits may be arranged by advance reservation. The house is open for general admission on Open Days in early and late Summer, in Autumn and in December. For information about making a Visit and the history of the house, go to the page Leroy Anderson House. Sweden where Leroy Anderson's parents were born.